The promising Piemonte had not had a great deal of luck in two outings since his promising Hillside maiden victory in early December and so it made for nice watching seeing him enjoy a much better run at Lakeside on Wednesday evening. Always travelling well outside the leader, the son of Melbourne Cup winner Fiorente had to dig deep as Rossa's Reward kicked in the run home but he showed good heart getting the best of that horse over the final stages, drawing clear late to win by half a length. "I won on him a few starts ago," jockey Jamie Mott said, "and when he went to a stronger race at his next start things didn't go his way." "I tried to get him to settle riding him more quietly last start and the race just wasn't run to suit so today I just rode him where he was happy." "He relaxed well and was therefore able to show that good fight late." "He is just going to get better and better," he added - "he has only had five starts and still has got a lot to learn, he is a nice horse in the making." 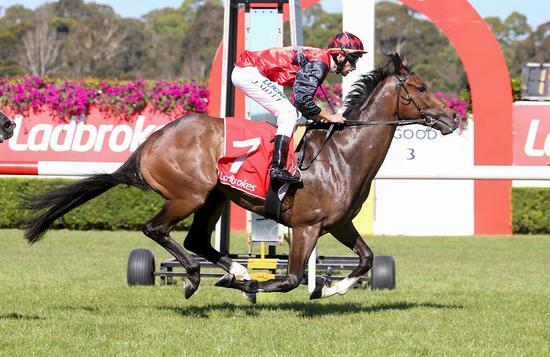 The stable's Ryan Balfour agreed, describing Piemonte as "a nice young stayer in the making." "Jamie rode him beautifully, he got him into a lovely nice rhythm and breathing well and he was able to produce a good finish." "The ownership group have been patient with him and they are reaping the rewards now." Bred locally by Catalina Pastoral, Piemonte caught the eye of Robbie and Peter Ford at the 2017 Inglis Melbourne Premier Yearling Sale. A half-brother to the four times winner Exellas, he is out of the city placed Canny Lad mare Ellas from a terrific international family that has produced the Group One winning successful stallions Street Cry and Shamardal. Served last spring by So You Think having produced a Dissident colt in mid-September, Exellas can also boast amongst her relations the feature race winners Territories and Thronum who both stand at stud in Victoria.